Now that we are officially turning the corner into spring, most homeowners are thrilled to finally be able to shut off their heating systems and enjoy the milder temperatures we have to enjoy before the summer heat finally starts to set in. As we get later and later into the season, however, you are likely going to find yourself relying more and more on your home’s AC in order to keep your home comfortable, and if it has been a while since you had your system serviced, you could be setting yourself and your family up for a rough time. This spring, one of the most important things you can do is make sure that you invest in a tune up for your home’s air conditioning. Why is this so important? To answer that question, our team of professionals at DeZiel Heating & Air, Inc. have taken the time to put together this short article that we hope will illustrate why. Chances are that your air conditioning system has had a long break where it has seen little to no use throughout the long fall and winter months. The spring and summer months can be rough on your AC, and if you put your system to bed towards the end of last year without have a professional come in a take a look at it, it could still be suffering from lingering issues that might have been sitting idle in your system for the past several months. Even seemingly small issues can develop into big problems given enough time, and if you start your system up later this spring with these issues still unresolved, it could spell big trouble for you in the coming months. A spring AC tune up will ensure that any of these issues are caught and corrected before they have a chance to inflict any lasting damage on your AC. When summer finally comes around, you are likely going to be running your air conditioning almost nonstop, and all of that use can really start to add up at end of the month when your power bill comes due. Keeping your system well maintained will ensure that your system doesn’t have to work any harder to cool your home than it absolutely needs to, and that can wind up saving you big when the bill comes due at the end of the month. In the end, the most effective way to keep your system running at optimum efficiency is to make sure you invest in a professional air conditioning tune up this spring. The constant marathons your air conditioning system is expected to run over the years can really take a toll on it over time, and like just about everything else out there, your air conditioning system is eventually going to reach the end of its effective life, at which time you are going to have to start shopping around for a replacement. 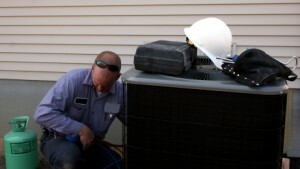 However, taking the time every spring to make sure your system is properly tuned up can go a long way in helping to ease the stress on your system over time, as well as helping to minimize wear and tear, and can actually extend the lifespan of your unit over time. If you are looking for a professional heating & cooling expert, give us a call today at 763-684-3965 or fill out our online request form.